The 2017/18 World Snooker Tour provided a battleground for 30 pieces of silverware in tournaments played across 13 countries, with 131 players travelling the globe in pursuit of glory. From Berlin to Bangkok, here is the story of the 2017/18 season. Welshman Day finally claimed his first ever ranking title after 19 years as a professional. The world number 17 had previously reached four ranking finals, before his 5-2 win over Stephen Maguire in the Latvian capital gave him a maiden title. “It’s been a long time coming and I’m delighted to win a trophy,” said Day, who shed the tag of best player never to wear a ranking crown. 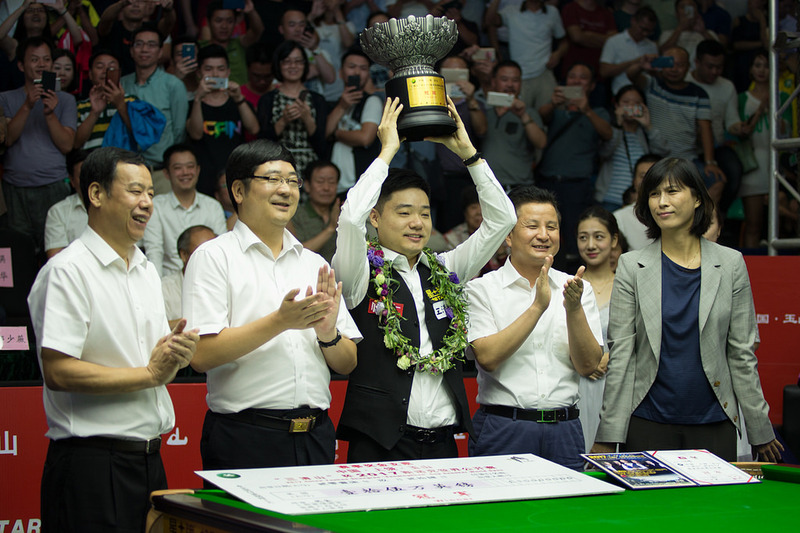 Snooker’s ultimate team event returned to the calendar this year and it was the Chinese side of Ding and Liang who thrilled the home crowds in Wuxi to lift the title. 24 teams entered with the ambition of claiming glory on the global stage. In the end it was the English duo of Judd Trump and Barry Hawkins who provided China’s opposition in the final, but the home side came through 4-3 winners. The Thunder from Down Under claimed his first piece of silverware in over a year by winning the star studded eight-man invitational event in Hong Kong. Robertson excelled in front of huge crowds, with attendances exceeding 3,000. He defeated World Champion Mark Selby and home favourite Marco Fu to reach the final. There he downed Ronnie O’Sullivan 6-3 to lift the title. The city of Wroclaw in Poland hosted this multi-sports event staged by the International World Games Association every four years during the year following the Olympic Games. There were 16 players, male and female, from across the globe battling for the gold medal. Kyren Wilson won it with a 3-1 defeat of Ali Carter in the final. This new ‘Ryder Cup’ style team event in Shenzhen pitted the British quintet of Ronnie O’Sullivan, Mark Williams, Joe Perry, Michael Holt and Graeme Dott against China’s Ding Junhui, Liang Wenbo, Yan Bingtao, Zhou Yuelong and Zhao Xintong. The Brits came out on top by a scoreline of 26-9. Young Belgian star Brecel fulfilled his potential in Guangzhou with a breakthrough first ranking win. The 22-year-old has been touted as one of the brightest prospects in the sport since becoming the youngest ever player to compete at the Crucible, aged 17 in 2012. 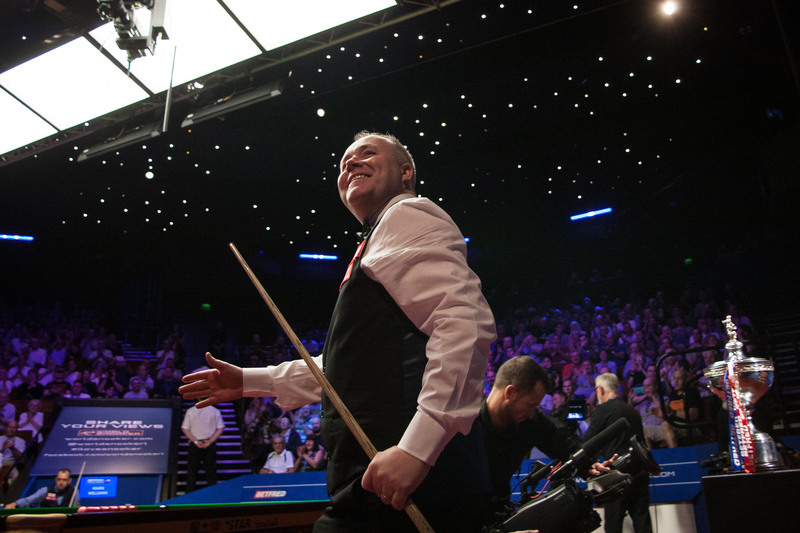 Brecel stormed to his first title with a 10-5 defeat of Shaun Murphy. White secured a second career ranking victory in Furth, denying Shaun Murphy silverware in his second consecutive final. The 2015 Indian Open champion made breaks of 97 and 83 in the final as he defeated Triple Crown winner Murphy 4-2. Williams claimed the first of his four titles of the campaign with victory in Bangkok. He overcame former winner and local favourite Thepchaiya Un-Nooh 8-2 in the final to pick up the title. It is the first time that the Welshman has been world champion in the shortened format of the sport. Victory in Vishakhapatnam was a momentous moment for Higgins as he captured his 29th ranking title. It saw him eclipse boyhood idol Steve Davis’ total of 28 wins and also helped the four-time World Champion to temporarily move ahead of Ronnie O’Sullivan. The Scot achieved the feat with a 5-1 win over compatriot and defending champion Anthony McGill. Ding recorded his first and only individual victory of the season to date in Yushan as he picked up a sixth career win on home soil. China’s top star defeated Luca Brecel in the last four, before demolishing Kyren Wilson 10-3 to claim silverware. The Ace in the Pack landed a title defence for the first time in his career, winning the European Masters for the second year in a row. Trump took on Stuart Bingham in the final in Lommel and came out on top 9-7 in an exciting clash. The Rocket soared to an incredible victory in Barnsley, where he became the second player to claim the Steve Davis Trophy. O’Sullivan produced one of his finest performances of recent years in the final, as he brushed aside Kyren Wilson 9-2. He ended the match with a mind-boggling 98% pot success ratio. The world number one was once again dominant in Daqing. For only the second time in his career Selby defended a ranking title, following back to back World Championship wins in 2016 and 2017. The Jester from Leicester defeated Mark Allen 10-7 to pick up this season’s title in northern China. The Magician had previously never won a match in the Champion of Champions, but a blistering run saw him pick up the top prize this season. Murphy defeated Mark King, Michael White and Luca Brecel to secure a spot in the final. There he recorded a sublime 10-8 defeat of Ronnie O’Sullivan to lift the trophy. O’Sullivan surged to his 30th ranking crown with victory in Shanghai. He overcame fellow legends Mark Williams and John Higgins in the last eight and last four, before coasting to the title with a 10-3 defeat of 2011 UK Champion Judd Trump in the final. Williams finally notched up a 19th ranking title with victory in Belfast. It was his first ranking win since the 2011 German Masters and the two-time World Champion clinched it in style. He never led young Chinese star Yan Bingtao until the final frame in a thrilling 9-8 win. O’Sullivan enjoyed a record equalling week in York. The Rocket’s 18th Triple Crown success drew him level with Stephen Hendry on most major titles won. O’Sullivan’s victory also saw him match Steve Davis’ tally of six UK titles. He clinched the trophy with a fine 10-5 win over Shaun Murphy. Robertson secured his first ranking title in almost two years with the most dramatic of victories in Glasgow. The Australian produced an epic fightback to come from 8-4 down against China’s Cao Yupeng and claim the Stephen Hendry Trophy with a 9-8 win. 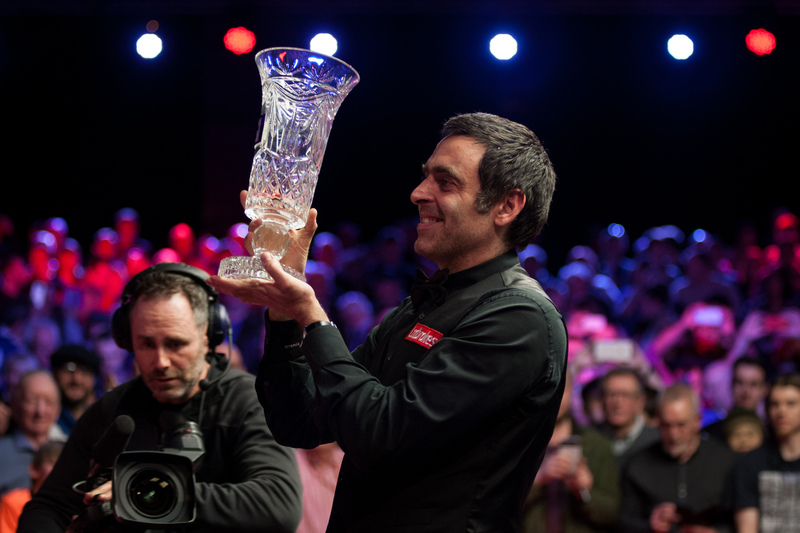 The remarkable resurgence of the legendary Welshman continued as he stormed to the title in Berlin and a landmark 20th ranking event victory. He won 15 of 17 frames over the final weekend with a 6-1 win over Judd Trump in the semi-final and a 9-1 demolition of Graeme Dott in the final. 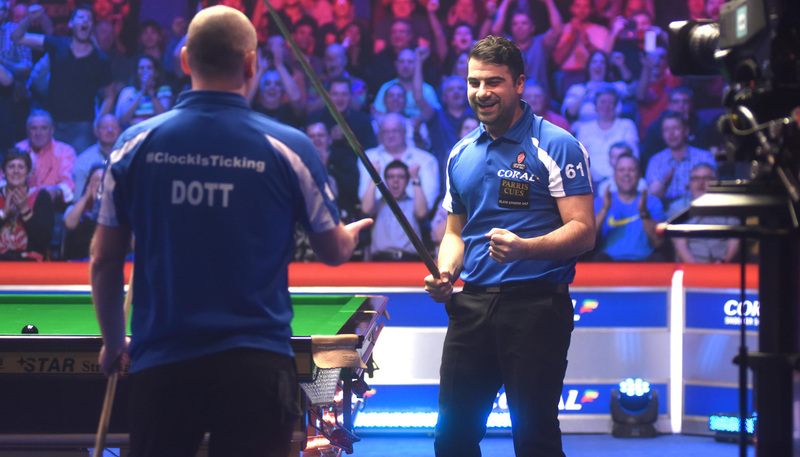 Georgiou won his first ranking title in dramatic circumstances at snooker’s quickfire one-frame knockout tournament. 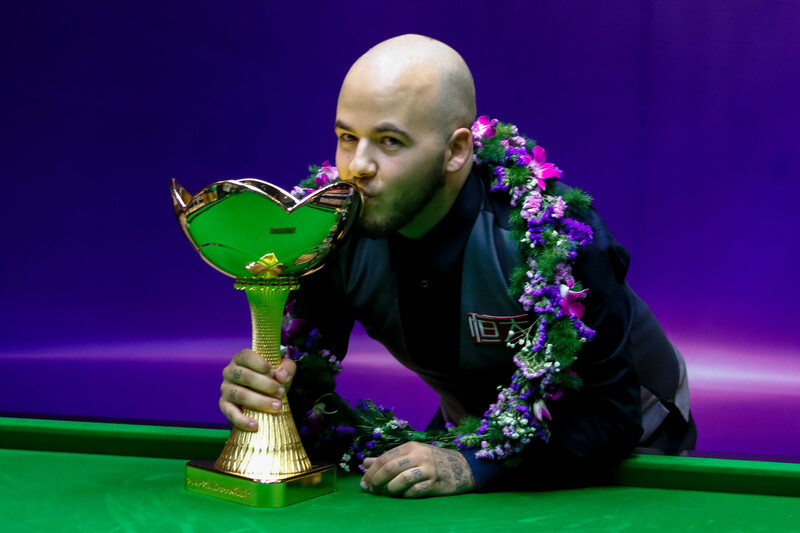 His final battle against Graeme Dott came down to the last few balls, and Cypriot Georgiou potted the pink to clinch the trophy and secure the biggest payday of his career. O’Sullivan continued his remarkable campaign with victory at the historic Guild Hall in Preston. 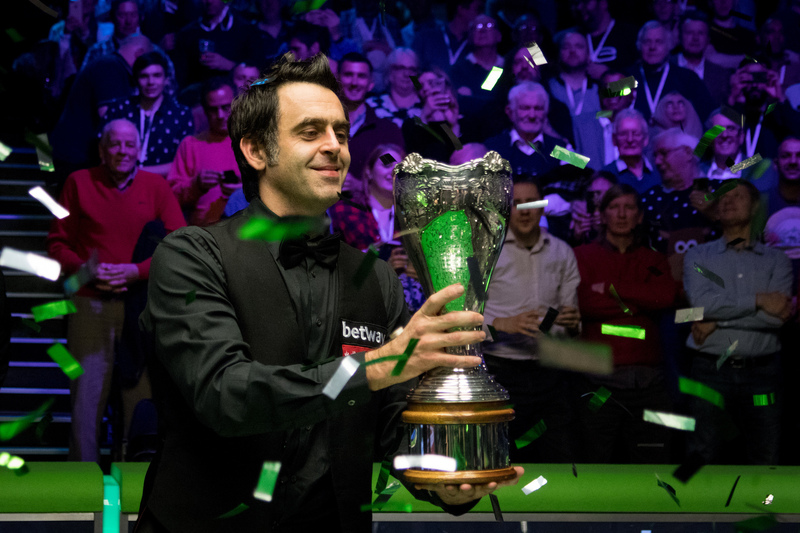 The 32-man event hosted the best players of the season so far according to the one-year money list and it came down to O’Sullivan v Ding Junhui in the final. The five-time World Champion stormed to a 10-3 win. The Scot picked up a record breaking fifth Welsh Open title with victory in Cardiff. He defeated the likes of Stephen Maguire and Ronnie O’Sullivan on his way to the final. There a 9-7 defeat of Barry Hawkins in an entertaining clash saw Higgins lift the Ray Reardon Trophy. Day continued his best ever season with victory on the Mediterranean coast. The Welshman stormed to his second title of the campaign and his career with a 4-0 defeat of China’s Cao Yupeng in the final. A sensational victory for Day, who picked up silverware for the second week in a row. He defeated Barry Hawkins, John Higgins and Kyren Wilson on his way to the final of the 16-man invitational event. There he won a dramatic battle with Stuart Bingham 10-8 to pick up the win. O’Sullivan’s victory in Llandudno was his fifth ranking title of the campaign. That equalled the record for most ranking events won in a single season, held by Stephen Hendry, Ding Junhui and Mark Selby. The event saw the 16 best players of the season travel to North Wales. O’Sullivan defeated Shaun Murphy 10-4 in the final to secure the win. This event at the Ricoh Arena in Coventry is played out over a series of groups across the season, with the victors all coming together to contest the winners’ group. 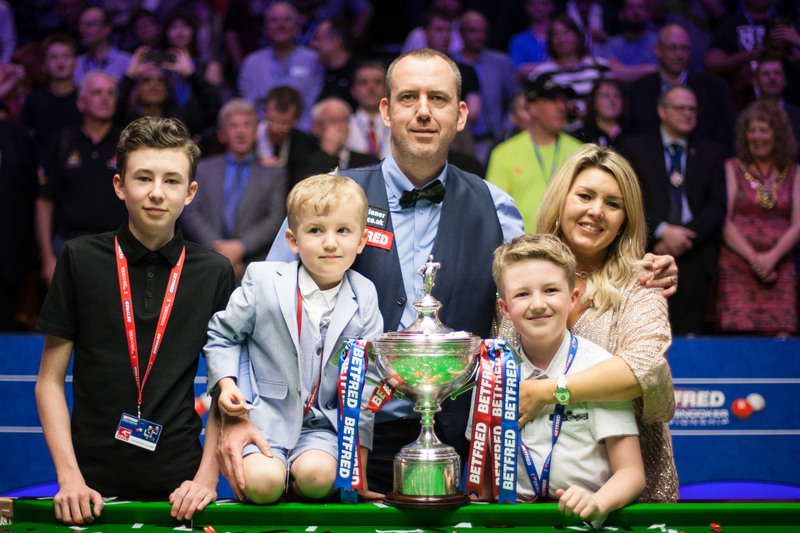 Higgins was triumphant in 2017 and he set up the defence of his title by winning group seven. 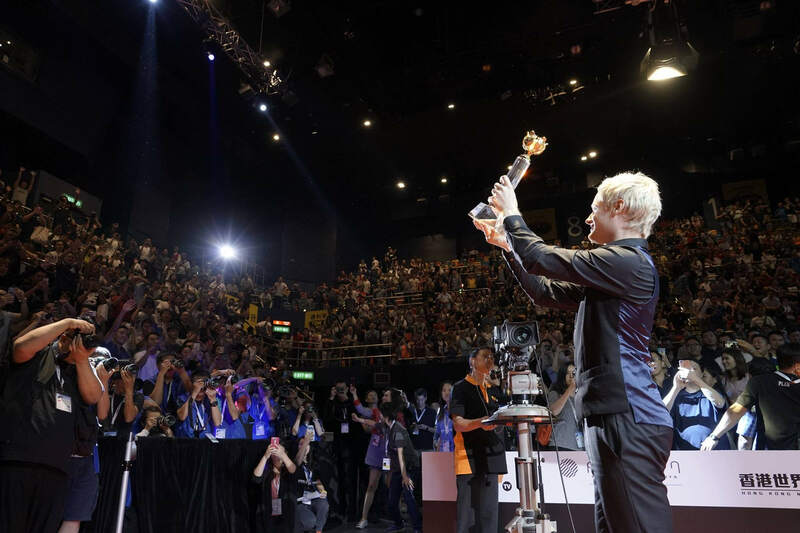 A 3-2 win over China’s Zhou Yuelong in the final saw him win the title for a second consecutive year. World number one Selby returned to form in dramatic fashion in Beijing. He eased to victory with an 11-3 defeat of Barry Hawkins in the final to pick up the biggest ever top prize outside the World Championship. Selby has returned to the winner’s circle right on cue in the final event before the Crucible.